We have the best tips from industry experts. Smoking, dehydration, and poor nutrition are some of the things that cause premature aging, and when you take these three factors and a lack of proper skin care, it’s all downhill from there. But there’s still some hope if you can turn things around quickly and adopt a healthy lifestyle that involves healthy food and taking good care of your skin. Need some help putting together a set of lifestyle changes to slow down aging and look amazing? Lighten Up Your Beauty LookIf you are using the same makeup in your 30s that you used in your late teens, then it might not be working. This is because our skin goes through changes as we age, and to maintain the same glow you will have to go lighter with things like sparkle, glitter, and matte finishes. The good thing with glitter and sparkle is that it settles inside those fine lines, making them more attractive and noticeable.Skin care experts recommend going “lighter” as you age, and so black mascaras and eyeliners should be avoided whenever possible. Go for brown shades and chocolate hair hues, and stay away from darker shades because they’ll make you age prematurely. 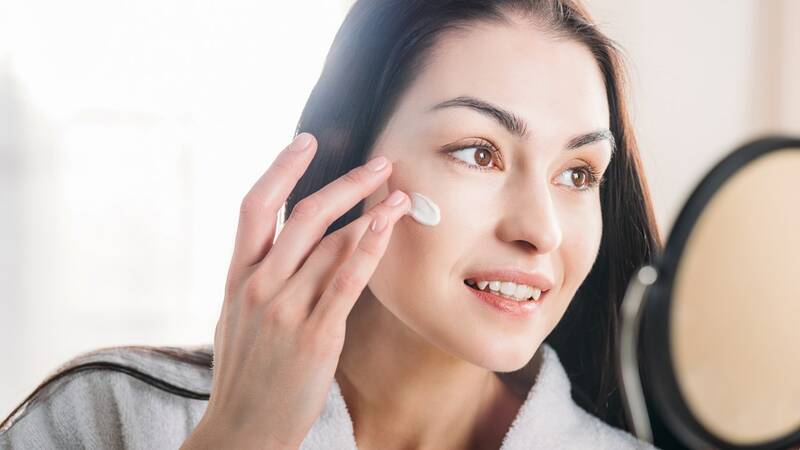 Along with Sunscreen, Use Moisturizer Every DayYou know that sunscreen wards off melanoma, but perhaps you haven’t considered its use as an anti-aging cream. Look at most people with perfect skin in their 30s and 40s; they’re not likely to go out without wearing sunscreen – even when it’s cloudy outside. Studies show that people who use sunscreen every day experience less skin damage over the years and tend to look much younger.Along with sunscreen, apply a moisturizer once or twice a day, as needed. So what makes moisturizer important in skin care? According to the AAD, your skin needs water to retain a youthful appearance, and moisturizer is essential because it traps water in the skin, reducing lines and wrinkles. Get More SleepWe need 7-8 hours of quality, uninterrupted sleep every night to stay healthy. It’s okay if you get home late every once in a while but going for weeks without enough sleep can be devastating in terms of your health. Stress levels skyrocket, and the risk of hypertension and diabetes is increased dramatically. Rest is also important in weight management, as a lack of sleep is linked to poor metabolic function, fat storage, and bad eating habits. Aside from all that, if you don’t sleep well, you’re going to have low energy, poor concentration, and you’re going to look and feel tired all the time. Exercise RegularlyExercise has a wide range of positive benefits ranging from cardiovascular function, improved mental performance, reduced stress, and better immune function. Exercise also reduces wrinkles and gives you a healthy glowing look. People with skin problems like acne psoriasis, and rosacea may need a few precautions to keep skin protected during exercise, but in general, regular workouts will enhance blood flow, nutrient absorption, water retention, and all this will go toward nourishing skin cells to keep them functioning optimally. It’s important that you keep the makeup and grime off of your face but don’t forget to stick to a gentle cleansing routine. If you find that you can’t take everything off with your current products, then a double-cleanse routine may be a good option. Just make sure not to irritate your skin, as this will take away the glow and make you look much older.